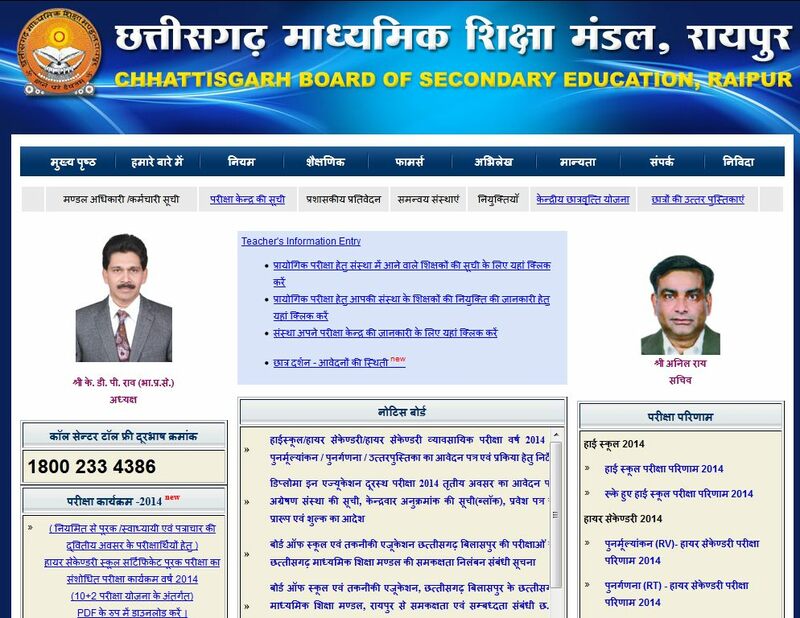 Can you guide me with the process of reaching the result page of Chhattisgarh Board of Secondary Education (CGBSE)? Give me the contact detail of the Board as well? Chhattisgarh Board of Secondary Education (CGBSE) is a board of school education in state of Chhattisgarh, India. It is responsible for promotion and development of secondary education in Chhattisgarh.